It’s been a summer for the books, but as fall approaches, we’re looking forward to some of the season’s finer qualities. Autumn in central Virginia is glorious, all breezy hikes, turning leaves, and a general sense of idyllic serenity….and also, apples. Carter Mountain Orchard is one of the top destinations during this time of year, whether you’re a seasoned local or a newcomer. 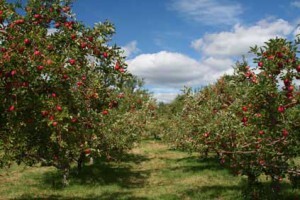 The hiking is perfect for families, and the orchard is brimming with activities like hayrides and Pick-Your-Own-Apples. 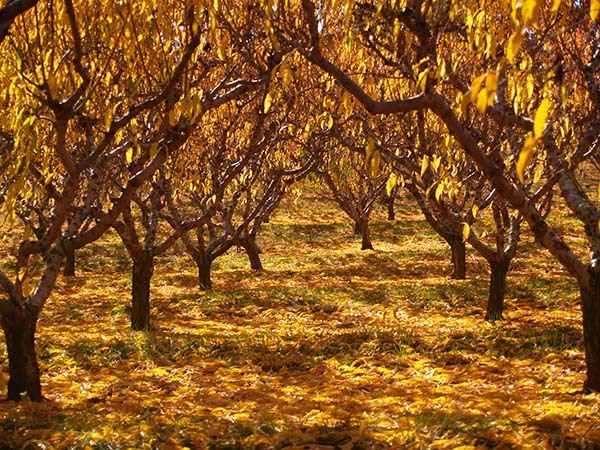 The orchard boasts a panoramic, 360 degree view of Charlottesville and the surrounding mountains in all their azure glory. There’s nothing that ushers in autumn quite like drinking fresh hot apple cider and eating donuts at sunset while the sky is streaked with warm hues of pink and orange. All through September Carter Mountain Orchard have a Thursday Evening Sunset Series with dinner and live music. And there really are so many things you can do with the apples you take home…pies, ciders, stewed apples, applesauce, apple butter, caramel apples, fritters, turnovers, the list is endless. I could go on…indeed, apples are probably my favorite topic other than real estate…but I digress. 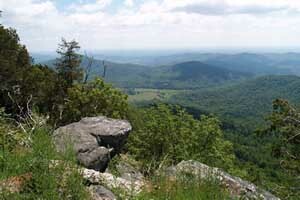 Carter Mountain itself is located on land south of Charlottesville, a few miles past Monticello, but it’s owned by Crown Orchard Company out of Covesville. The Chiles family has been in the orchard business since 1912, a career spanning four generations, seven orchards in central Virginia, and a lot of people of varying ages getting their hands dirty. Crown Orchard Company provides wholesale quantities for much of the region, due in large part to a modernized, cutting-edge packing facility in Covesville augmented by a staff that works year-round. Land in central Virginia, with its rolling uplands and hilly pastures is a great candidate for orchard and vineyard cultivation anyway. And it’s not a bad time to be in the apple business. The USDA is reporting a significant growth in U.S. fresh apple exports over the last few years, reflecting and responding to a shift in the levers of supply and demand. Most apples produced in the U.S. are used domestically, but demand for them is diminishing due to counter-seasonal competition which often comes in the form of imports. We’re talking grapes, berries, and stone-fruits which are in season around the same time as apples. 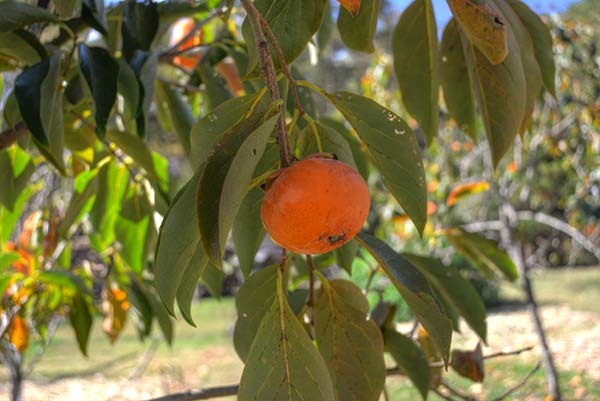 At around the turn of the century, fruit production in the Southern Hemisphere (particularly Chile) began to expand, providing tropical fruits to American consumers whose choices were more limited in the winter months. Domestic apple production outpaces domestic demand, and so there was an excess of product, particularly in Washington State, which churns out a significant chunk of U.S.-grown apples. This excess of supply has been leading to a huge amount of growth in annual export numbers…up from 607 million pounds in the 1980s to 2.3 billion pounds in 2014/2015. Half of the U.S. fresh apple exports go to Mexico, Canada, and India, with Mexico alone accounting for 25% of U.S. export market. The U.S. is now the third largest exporter of apples, behind Poland and China. Despite this, apples from the U.S. are ranked first globally overall, and reach a variety of markets in Southern Asia like Vietnam, Thailand, and the Philippines. Due to the changing markets, producers have focused their attention on new cultivars, such as Fuji, HoneyCrisp and Gala apples. 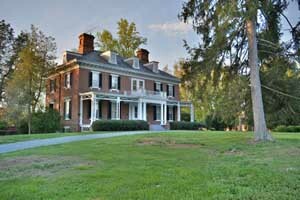 It’s not a bad time to get into the business, especially if you have elevated land in central Virginia. (You will need to purchase propagated varieties as you cannot plant a seed and grow your own apple trees). Dwarfs and semidwarfs will start to bear fruit in 2-4 years, (around a bushel or two per year), and by the time you hit the 5-8 range, you could be reaping 4-5 bushels a year! 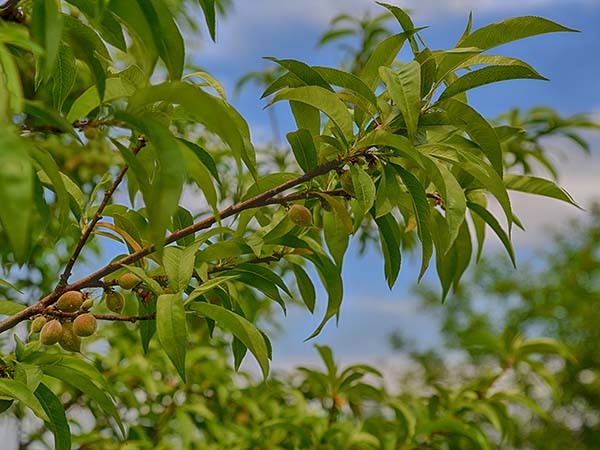 If you have longed to start your own orchard and are looking to buy a farm in Central Virginia, call or email Gayle, she’d love to talk with you!